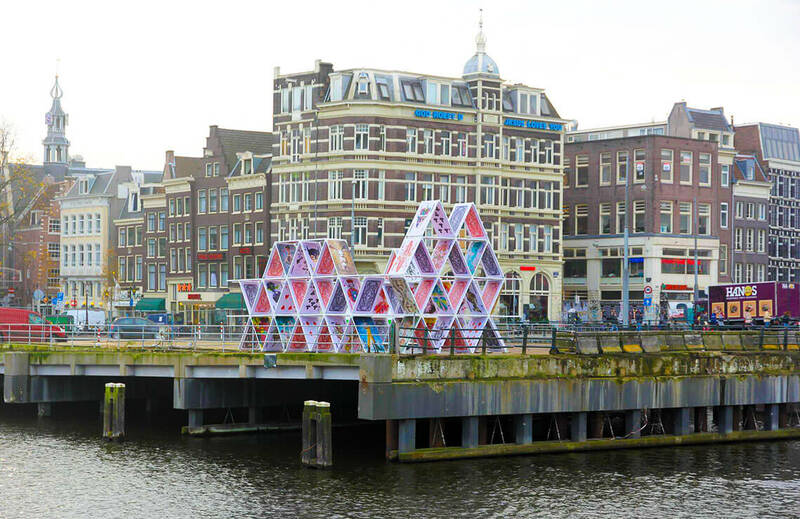 House of Cards is an installation made for the Amsterdam Light Festival. 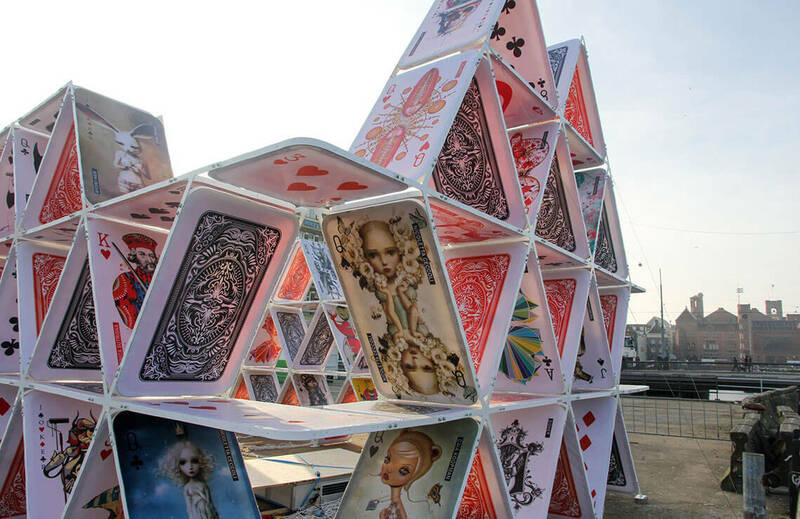 It consists of 125 light boxes in the form of playing cards that in turn (or all at once) appear according to a preconfigured choreography. The structure has several levels; it looks like a modern church from one side and from the other, a classical structure of building blocks. The idea stemmed from childhood memories and the artists’ games with their children. 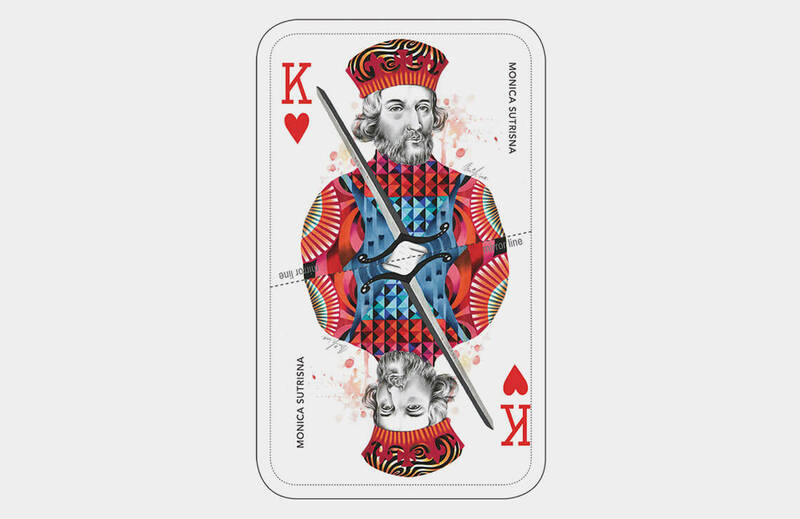 Playing cards were once tremendously popular across the globe with all different cultures. 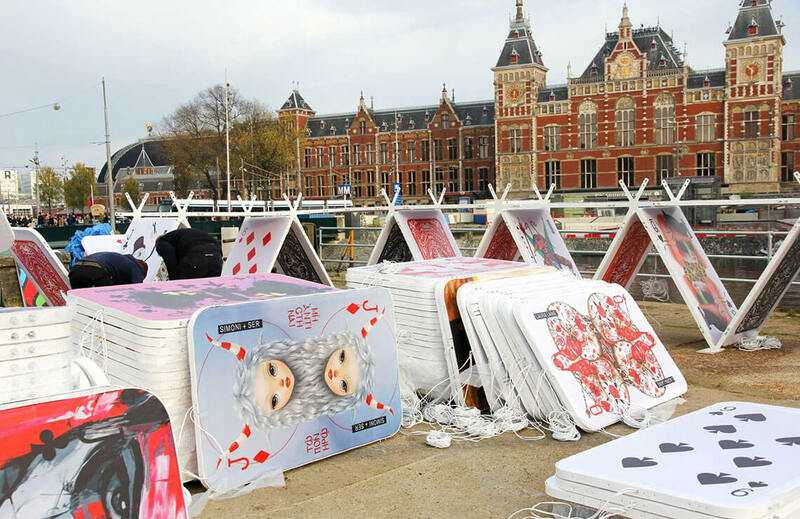 In the Netherlands, one can still find the creations of the Speelkaartenfabriek “Nederland” (NSF), or ‘Playing Cards Factory Netherlands’, a famous printing house located on Amsterdam’s Prinseneiland. 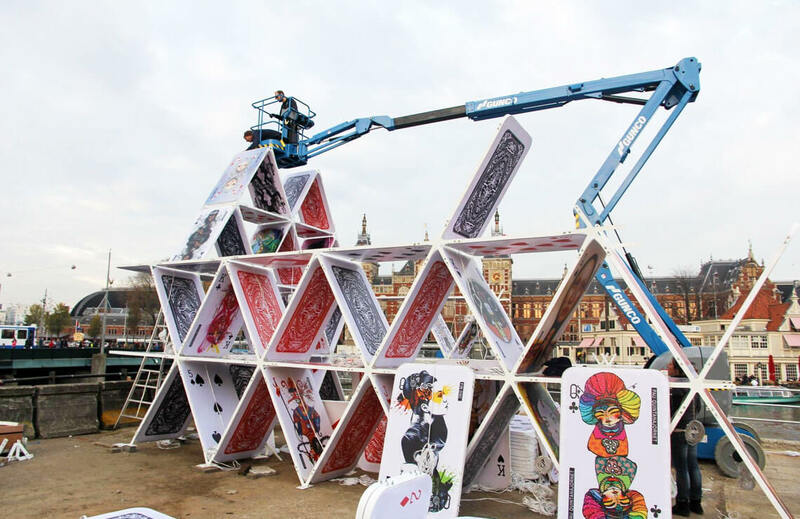 As homage to this culture and history, the House of Cards installation is placed close to this historical location.